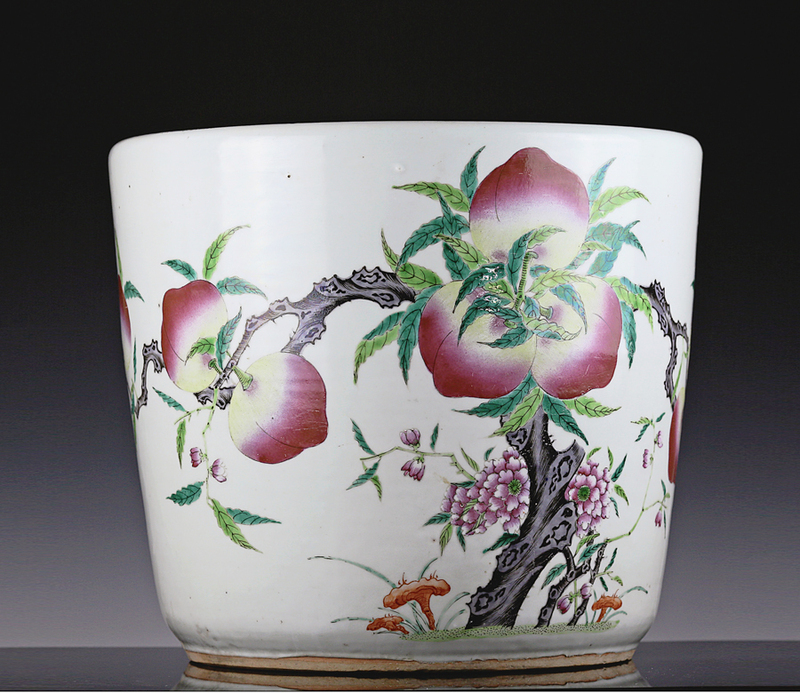 A large and lushly decorated late Qing Guangxu period planter / jardiniere, enameled in the famille rose palette with nine flawlessly ripe and blushing peaches grow from a tree with splayed twin branches. 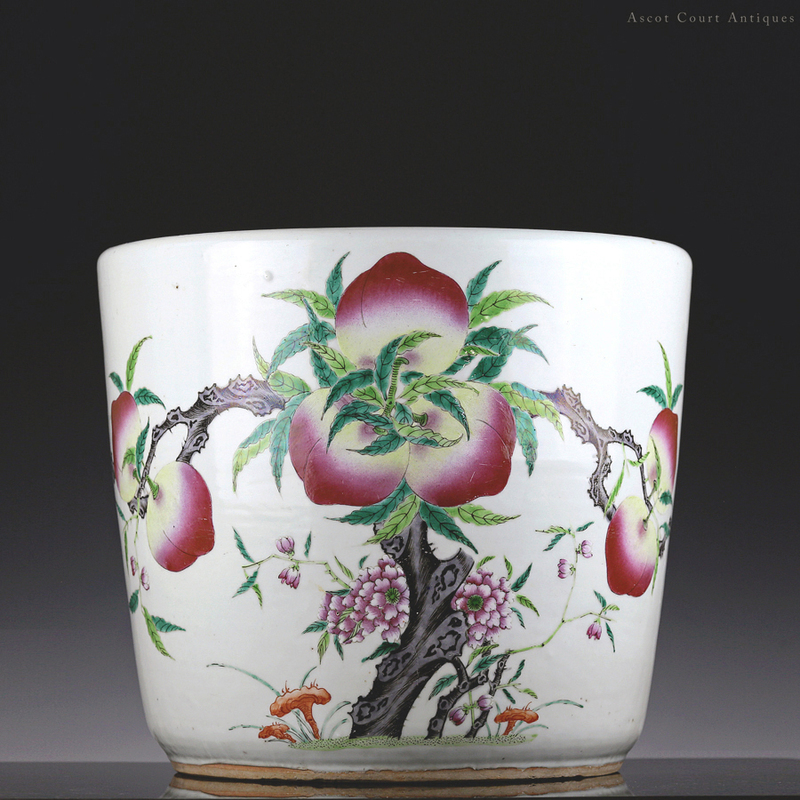 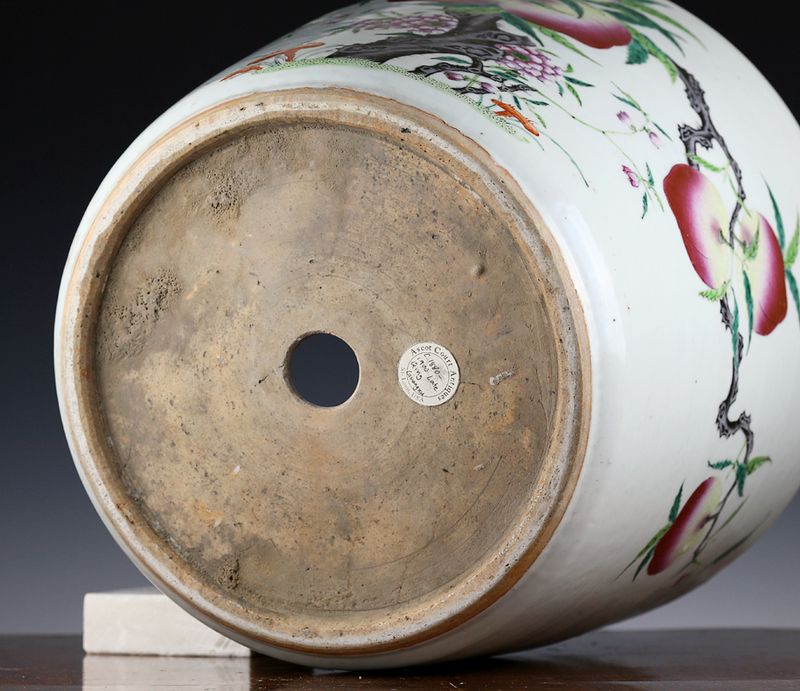 Originally a staple of imperial decorative art, the famed and well-beloved ‘nine peach’ pattern came to be popularly featured in many porcelains produced in non-imperial private kilns during the 19th century. 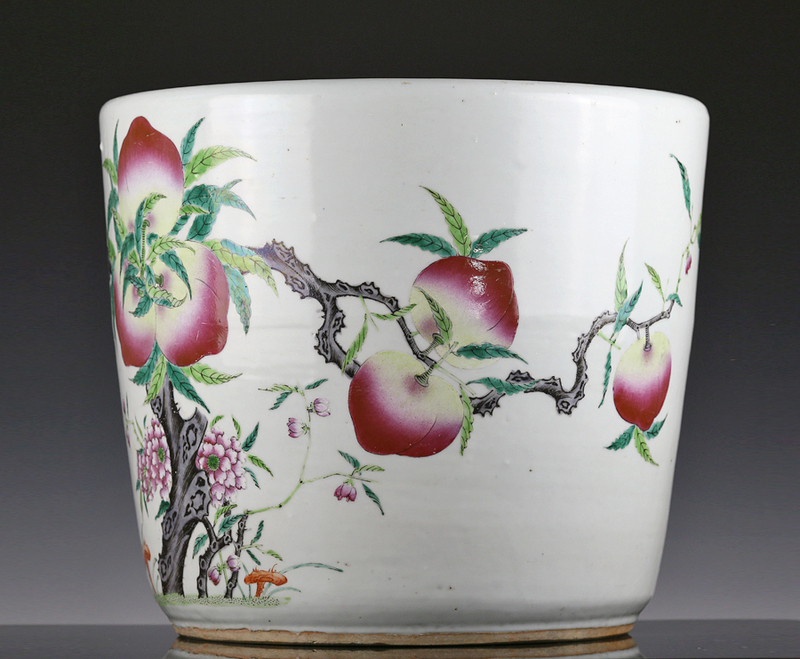 The number nine in Chinese (jiu) is a homonym for eternity (also ‘jiu’), while the peach has long been associated with mythological powers of immortality. 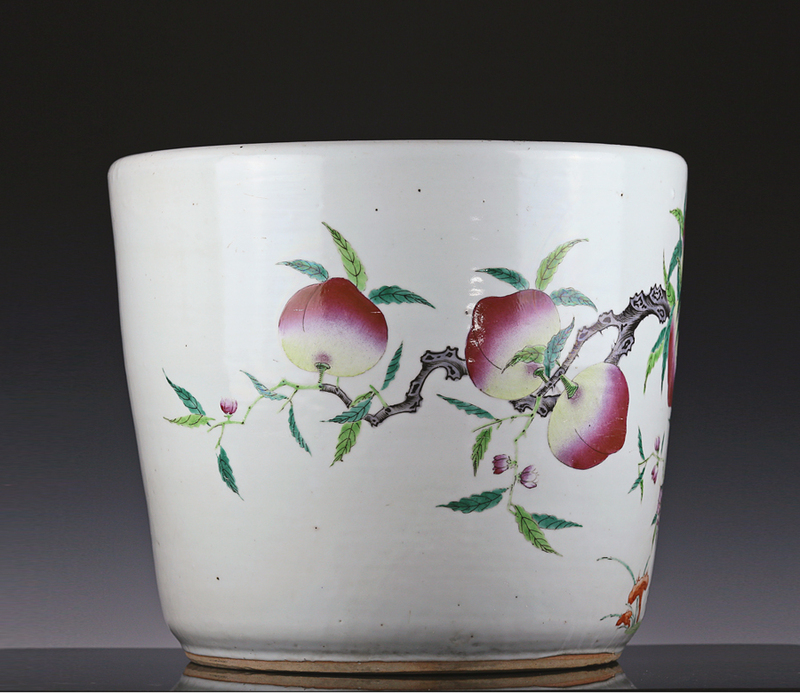 Together, the nine peaches conveys a message of ‘eternal longevity’ – or ‘may you live long and forever’.